From picnics and parties to road trips and community events, put your best foot forward and arrive in style this summer with a sharp, safe, and smart new vehicle boasting all of the latest technologies and features available. 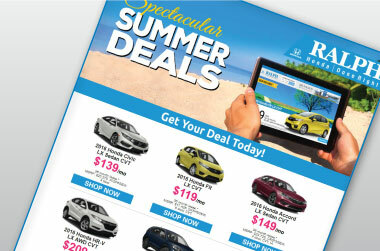 It’s a Spectacular Summer at Ralph Honda, with Hot Deals and Summer Fun Savings going on now! Whether you are looking for a smart compact or sporty sedan, or a larger minivan, crossover or SUV with flexible cargo storage and passenger space, we have a Summer Deal for you. Anyone can graduate to a new model for smart features and summer savings! 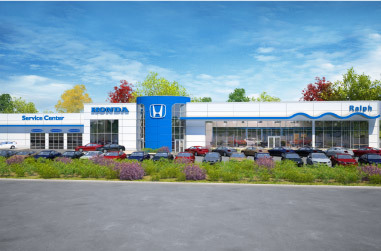 Click to view our Online Print Ad for your best deals on a new Honda going on NOW, and if you are a recent college grad, get an additional $500 College Grad Bonus! 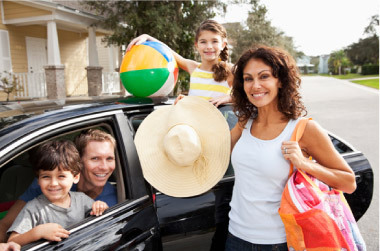 Is your vehicle road-ready for all that summer brings your way? Browse our service specials to get your vehicle ready for the summer season, or check out our huge selection of new and quality pre-owned vehicles to upgrade your ride for the spectacular road trips and summer events you have in store. And there is no better way to do tailgating but with the innovative, all-new 2017 Ridgeline is being released June 21. 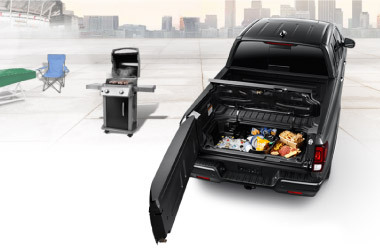 Explore the Truck-Bed Audio System, Dual-Action Tailgate, In-Bed Trunk that doubles as a built-in and easy-to-empty Cooler with drain plug, and more! View details and sign up for updates here. Check back for updates on our progress throughout our Spectacular Summer! So, come join our Spectacular Summer at Ralph Honda!